This month, we are happy to announce a new short film about ongoing SEPLS-management activities at the project site for the COMDEKS (Community Management and Knowledge Development for the Satoyama Initiative) project in Turkey. We would also like to share some of the most recent IPSI case studies we have received. The IPSI Secretariat is always looking forward to receiving new case studies and updates to those that have already been submitted, so if you have any updates for us, please be sure to let us know. You can see all of our case studies on our webpage. The Secretariat is also looking forward to its upcoming participation in meetings related to the Convention on Biological Diversity in Montreal, Canada. See the notice below for more information on our plans. IPSI continues to grow and remain active in a great number of areas, so we hope you will find this newsletter a useful resource. As always, we thank you for subscribing, and for your continued support of IPSI. Community Management and Knowledge Development for the Satoyama Initiative (COMDEKS) is a collaborative activity carried out by the United Nations Development Programme (UNDP) and the United Nations University Institute for the Advanced Study of Sustainability (UNU-IAS). COMDEKS has been designed to be community driven and support local community activities to maintain and rebuild socio-ecological production landscapes and seascapes (SEPLS). Working through the Global Environmental Facility Small Grants Programme (SGP), COMDEKS provides small grants to local community organizations to develop sound biodiversity management and sustainable livelihood activities in order to maintain, rebuild, and revitalize socio-ecological production landscape and seascapes. The SEPLS identified as the target area for the Community Development and Knowledge Management for the Satoyama Initiative Project (COMDEKS) in Turkey is the Datça-Bozburun peninsula located in Muğla province in the southwest of Turkey.The Datça-Bozburun peninsula is recognized as a key biodiversity area as it represents one of the most pristine Mediterranean lowland forest and coastal landscapes. 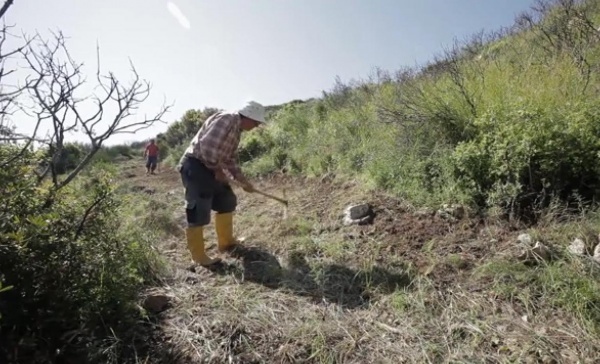 The SGP Turkey Country Programme has recently, released “Sharing the Seeds of Knowledge”, a short film produced by the SGP Country Programme with COMDEKS funding that documents the landscape approach piloted by COMDEKS, and describes supported activities in the Datça-Bozburun peninsula to enhance the resilience of the landscape. Please take a look at the film to learn more about COMDEKS activities in Turkey and visit the COMDEKS website to learn more about the project around the world..
IPSI recently received a case study from member Wakasa Town in Fukui Prefecture, Japan. Wakasa Town is located in the southwestern part of Fukui Prefecture, with a population of 16,099 (as of the 2010 National Census). The town lies within the Wakasa Wan Quasi-National Park, and is abound with water resources such as the Five Lakes of Mikata, which are registered under the Ramsar Convention on Wetlands of International Importance, Uriwari Waterfall, designated as one of Japan’s 100 Famous Waters, and the first-class river known as the most beautiful in the Kinki region, the Kitagawa River. Wakasa is also the birthplace of Fukui Ume, or Fukui Plums, and plums and pears are widely cultivated. There are also over 120 inns and lodging accommodations, and the town is pouring efforts into tourism. To promote the preservation of Satochi-Satoyama and wetlands, the 3 parties of Fukui Prefecture, Wakasa Town, and local environmental preservation groups formed a Biodiversity conservation agreement, and support the preservation activities groups. Find out more about Wakasa Town and its activities by reading the entire case study on the IPSI website here. 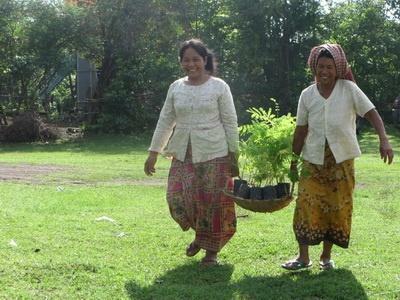 Cambodia is a country being rich in natural resources, especially the forests that cover 59.09 percent of the country. Agriculture plays an important role in Cambodia, with more than 70 percent of population is engaging in agriculture sector, especially in paddy rice farming. The farming systems in Cambodia are mainly subsistence oriented, low input and depend mainly on rain water except in the well managed irrigation system areas. The Institute of Environment Rehabilitation and Conservation (ERECON) recently sent IPSI a case study regarding their efforts to restore SEPLS in the country. ERECON, with the financial support of Mitsui & Co., Ltd. Environment Fund, has been conducting a “Program on Promoting Sustainable Use of Natural Resources through Restoring and Conserving Satoyama in Cambodia” since October, 2010 under the collaboration of Ministry of Environment (MoE), Cambodia, Royal University of Agriculture (RUA), Cambodia and United Nations University Institute for the Advanced Study of Sustainability (UNU-IAS). To achieve the aims of the program, activities such as workshops, training, seminars, and symposia, as well as reforestation activities, have been conducted in Kampong Cham, Battambang and Mondulkiri Provinces during the three years of the program period. The entire case study is available for reading on the IPSI website here. Members of the IPSI Secretariat staff are looking forward to taking part in two upcoming meetings related to the Conference of the Parties to the Convention on Biological Diversity (CBD COP) in Montreal, Canada this June. The fifth meeting of the Ad Hoc Open-ended Working Group on Review of Implementation (WGRI-5) from 16-20 June, and the eighteenth meeting of Subsidiary Body on Scientific, Technical and Technological Advice (SBSTTA-18) from 23-28 June, are two of the important regular events for the implementation of the convention. The IPSI Secretariat plans to take an active role in both meetings and attend a large number of related events. We know that these are important events in the calendar of many IPSI members, so we hope to connect with as many of our colleagues as possible. Also, if you have any events planned surrounding these conferences that you would like the IPSI community to know about, please be sure to let us know and we will announce them in next month’s newsletter.